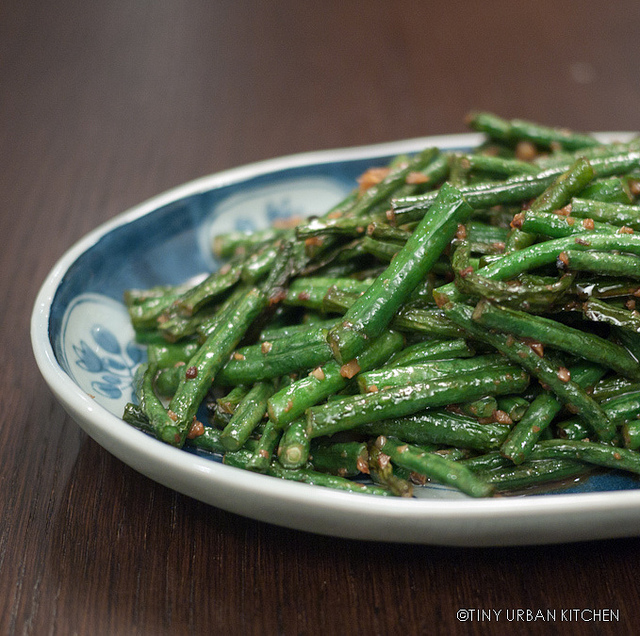 Cut up long beans into 2 inch segments. Heat work to medium high heat. Add vegetable oil and minced garlic. When garlic begins to slightly brown, add beans. Add about 1 tablespoon of water, cover, and steam. Wait about 5 minutes, or until beans are cooked through. Add salt and soy sauce to taste.You can optionally add a bit of sugar or hoisin sauce as well if you like it sweet, but I didn’t add any.